Since the start of the new year, American University’s Facilities Management and Office of Sustainability have found a new way to promote the university’s Zero Waste goal while also supporting veterans. AU is contracted with Veteran’s Compost, a local business that employs veterans and their family members, for the removal of organic food waste from the Terrace Dining Room and the Davenport Coffee Lounge. Veteran’s Compost’s dual mission is to “fuel (their) growth with people and material that others pass over,” and to that end, their hiring and employment practices help to address the fact that Iraq and Afghanistan combat veterans have an unemployment rate that exceeds the national average. In addition to its work at AU, the veteran-employed firm has provided composting services for notable events such as the Marine Corps Marathon and the Cherry Blossom 10-Miler, as well as countless weddings and festivals. For more information about AU’s composting and sustainability practices, contact sustainability@american.edu. 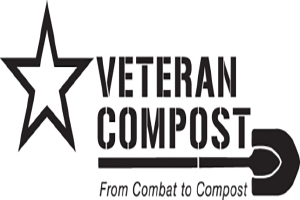 For information about Veteran’s Compost, visit their website.